Over the past year, Mountain Valley Honey has made some exciting changes, so we thought it would be a good idea to catch up with MVH Co-owner, Nicky Elwood, to get the latest. “A priority for us over the past year has been bringing the MVH team together into one place. We like being a part of the day-to-day processes and working alongside the team,” she says. MVH now have all operations together on one premises, including extraction, instead of working in multiple locations. Each season, MVH get a variation on our regular honeys. “It’s always nice to put a new type into a jar so customers can try more of the great honeys that New Zealand has to offer. 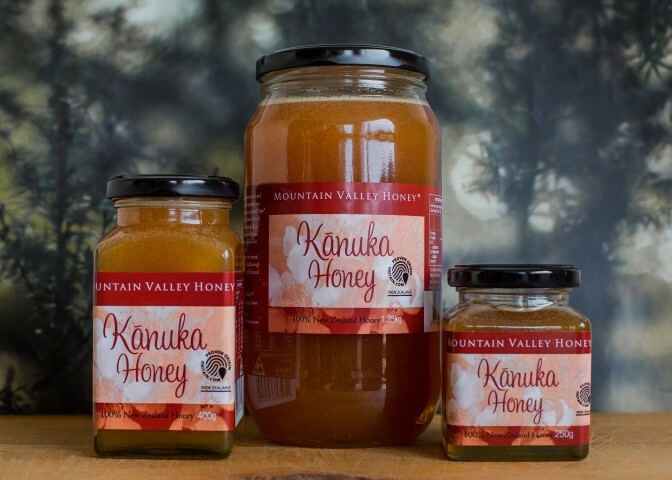 MVH’s latest product is Kānuka honey, which comes from the same family of trees as Manuka. Although there have been significant changes to the business, Nicky and the other co-owner (and Nicky’s husband) Murray’s core values remain the same. “We still enjoy working in a hands-on sort of way, and unlike other businesses, our focus isn’t on expansion. We are happy with the number of hives we run, and locations we travel to. But they wouldn’t where they are now without their continued local and online community support that, for which they share their gratitude.